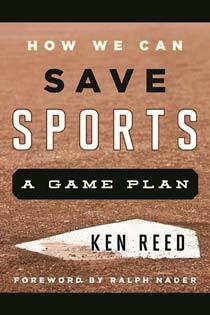 Dr. Ken Reed is Sports Policy Director for the League of Fans and the author of How We Can Save Sports: A Game Plan and Ego vs. 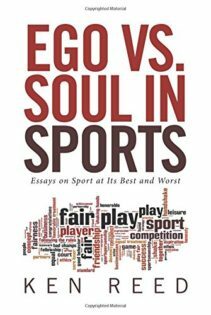 Soul in Sports: Essays on Sport at Its Best and Worst. 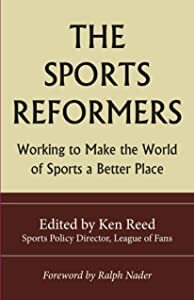 His latest book is The Sports Reformers: Working to Make the World of Sports a Better Place. He is a long-time sports marketing consultant, sports studies instructor, sports issues analyst, columnist and author. As an adjunct professor at several institutions, Reed has taught a variety of sports studies courses, including Contemporary Sports Issues, History of Sports, Sports Marketing and Communication, Sports Ethics, Sports Governance, Sports Sociology, and Sports Management. Reed has long been a strong advocate for quality physical education and sports programs for all students, not just elite athletes. He created the Center for the Advancement of Physical Education (CAPE) for PE4life, a non-profit organization dedicated to making quality daily physical education available to all students, K-12. He has delivered a variety of professional development seminars to educators on how physical education, sports, and other forms of physical activity can improve academic performance, decrease behavioral problems and enhance student wellness. Reed also has served as an executive board member and faculty fellow for the National Institute for Sports Reform, as well as on the board of directors for Positive Coaching, a non-profit whose mission is to promote positive attitudes and behaviors in youth sports. In addition, Reed has served as an advisory board member for Metropolitan State University of Denver’s Sports Industry Operations program. In addition to How We Can Save Sports: A Game Plan Reed has published a sports novel targeting girls, 10-14, called Sara’s Big Challenge. The book’s overarching theme is the importance of being true to yourself. He also has published a book on Phil Lawler, the “father of the new physical education,” entitled Game Changer: Phil Lawler’s Wellness-Based Physical Education. Reed has been a regular sports issues columnist for several sports magazines and a freelance contributor to multiple publications, including the New York Times and the Chicago Tribune. He currently blogs on sports issues for the Huffington Post. Reed holds a bachelor’s degree from the University of Denver (marketing/finance), a master’s degree in management from Colorado State University (concentration in athletic administration), and a doctorate in sport administration (emphasis in sport policy) from the University of Northern Colorado. Reed lettered in baseball and basketball at the University of Denver and has worn many hats in the world of sports, including coach, referee, scout, administrator, event planner, marketing and communications consultant, strategic planner and sports talk show host. Denver Post feature on League of Fans’ Sports Policy Director Ken Reed: “Coloradan wants to be voice for fans to reform sports,” Sep. 11, 2011.